Calcium oxide is an odorless white or gray solid, taking the form of lumps. It has the alternate names of quicklime and burnt lime, but is most commonly referred to simply as lime. Calcium oxide was used in the past as a light source for theatrical plays, hence the term limelight, due to its glow when subjected to intense heat. It is believed that the chemical was used in Greek fire, a weapon used in ancient battles. Proper handling and chemical storage of calcium oxide is important for your safety, and the safety of your personnel. 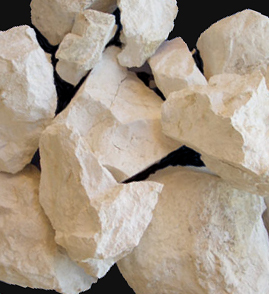 Calcium oxide is widely used across a variety of industries, and has been for a long time, even in the Neolithic Era as plaster. It is used in chemical recovery in the paper making process. Additionally, calcium oxide is water-reactive, which makes it effective in the petroleum industry for water detection. The calcium oxide and water react to form calcium hydroxide, which has a pH level high enough to turn the other water detection chemical, phenolphthalein, a pinkish-purple color. Calcium oxide is capable of forming solutions with silicates, some of which harden to form glass. Other uses of calcium oxide include certain fertilizers and insecticides, and as stated above, is capable of altering the pH level of water. Calcium oxide is a strong base and is corrosive. It is non-combustible, but when subjected to flame, it may decompose and form corrosive fumes. It is considered a health hazard, and contact with moist skin or eyes can cause severe irritation. Calcium oxide is highly reactive with water, forming calcium hydroxide, which is also corrosive. Safe storage practices of both calcium oxide and calcium hydroxide are crucial. Calcium oxide is non-combustible, but if water is present, high temperatures may cause ignition of combustibles. Small chemical fires should not be fought with water, because of the corrosive, toxic fumes that are released upon contact. If the fire is particularly large, fire can be suppressed with water spray or fog – never direct streams – as long as water can be controlled and properly disposed of afterward. Calcium oxide should be stored in a cool, dry area. It is an oxidizing agent, so it should be segregated from flammable and combustible materials. Calcium oxide should be stored in tight containers, labeled with the original manufacturer’s label, and placed within a well-ventilated area. Keep it separate from moisture, acids, oxidizers, organic materials, heat, and open flame. Our CHEMLoc buildings are non-fire rated and can come equipped with mechanical ventilation and climate control for your chemical storage needs. A containment sump can be used to contain spills or leaks, keeping the corrosive substance from escaping the chemical storage building, further increasing safety within your facility. Fire suppression systems can be installed within your U.S. Chemical Storage building and alert your personnel of fire hazards via an audible or visual alarm. Store your corrosive materials safely with our CHEMLoc chemical storage building.